Cape Cod Waterways is the best time on Swan Pond River that a family, group or individual can have. Enjoy the scenery and wildlife that CCW has to offer. 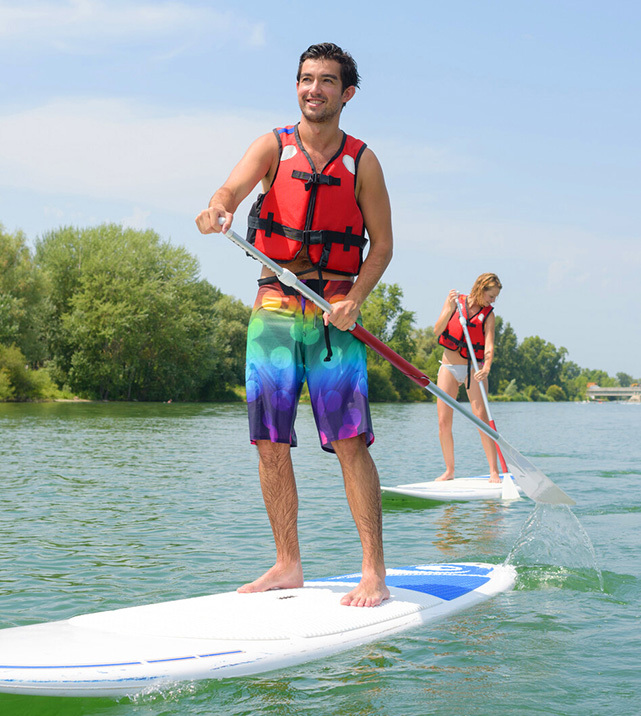 Kayak, Canoe, Stand up Paddle Board or Pedal Boat your way around the river at your leisure or utilize the river as part of your personal exercise regimen. Fun and enjoyment for all ages! Swan Pond River at Cape Cod Waterways Boat Rental. The Swan Pond River wanders its way past islands and acres of conservation land to reach the tidal flats and sandbars of the Nantucket Sound. 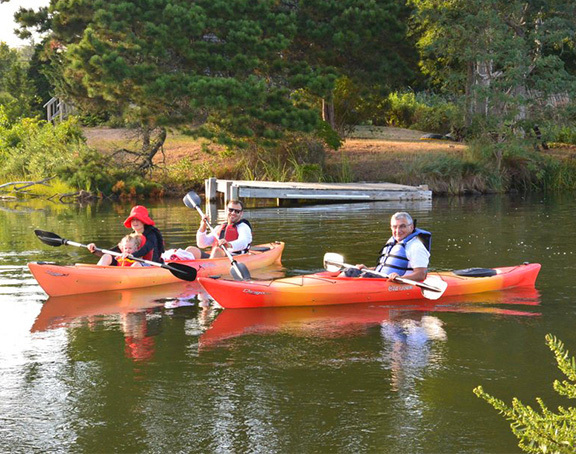 For more than 30 years, visitors to the Cape have been able to escape to its tranquil waters and natural beauty with a kayak, canoe, stand up paddle board, or pedal boat from Cape Cod Waterways Boat Rental. Located at 16 Route 28 in Dennis Port, MA, right on the Swan Pond River’s shoreline, this spot, complete with docks for a dry easy launch, makes an outing on the river a breeze. Based on that day’s tidal flow, the staff of Cape Cod Waterways Boat Rental is happy to make recommendations on the best course to chart for a relaxing paddle out on the river. With acres of conservation land lining the shores of the river, there’s plenty of opportunity to spy on the area’s natural wildlife in action. Sightings of waterfowl, including herons, hawks, mallards and geese are virtually guaranteed. Inside the facility’s outfitting area is a chart to help identify some of the common birds to the area. Heading south down the river toward Nantucket Sound boaters will pass spectacular homes set back from the water. “As a matter of courtesy and out of respect for the wildlife we ask that our guest don’t stop on the private docks or the conservation land especially the narrow rivulet path while enjoying their outing,” notes Dan. “However, there is a great little town beach on the west bank of the river just before you reach the Sound that is open to everyone to enjoy,” says Dan. “There is also a temporary sand bar that forms at the mouth of the river which is open for people to pull the boats up on and enjoy a swim,” continued Dan.